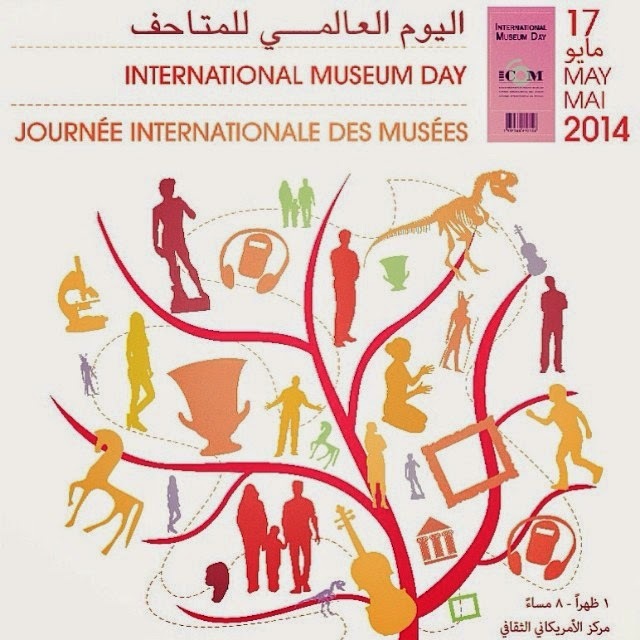 You are cordially invited to Dar al-Athar al-Islamiyyah’s 2nd Annual International Museum Day on Saturday May 17th from 1pm – 8pm at the Amricani Cultural Centre. The theme of International Museum Day this year will be: Museum collections ...make connections. This year we are looking to showcase this theme by not only connecting with our patrons and our exhibitions, but also by reaching out to the community by inviting local museums, businesses, entrepreneurs and hobbyist groups to participate. There will be plenty of activities for the whole family to celebrate and enjoy, including (but not limited to): An outdoor market (Souk Qibla) for local entrepreneurs and small-medium enterprises to sell and promote their goods and services, children’s activities, a NEW Poster Exhibition (by our Junior Docents), 3 theatre plays, fabric workshop, calligraphy workshop, henna workshop, box art, clay pot breaking, live music, exhibition tours and so much more. The Sadu House, Kuwait National Museum, Othman Museum, the Historical, Vintage and Classic Cars Museum of Kuwait, and Boutique 33 will set-up interactive booths and participate in a special round-table discussion. Join us in celebrating International Museum Day and making connections throughout Kuwait.